Where's the best place for your pictures? We're all taking more photos than ever before - thanks to the digital cameras built into the smartphones we take everywhere - but what's the best way to store and manage this plethora of personal pictures? There are plenty of options out there, but working out the differences between them isn't always easy. To give you a better idea of what's on offer, we've compared the major cloud photo storage services against each other. In most cases, these services give you room to upload your pictures alongside a bigger cloud storage and syncing package, but we'll guide you through the ins and outs so you know exactly what you're getting. 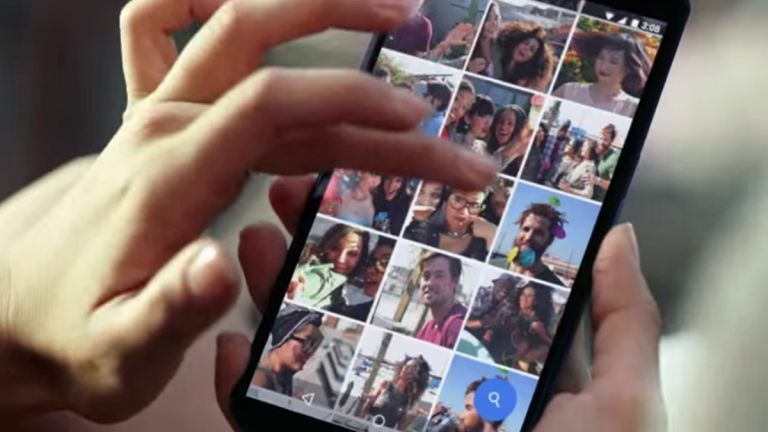 The new kid on the block is Google Photos: you get unlimited space for photos and videos, provided you don't mind them being resized down to 16 megapixels and 1080p respectively. If you do, 15GB of space is provided for free (that covers all Google's services, such as Gmail and Google Drive) and you can pay $1.99 (£1.32) a month for 100GB, $9.99 (£6.64) a month for 1TB, or splash out even more. Again, that space goes towards all Google services. It excels in all the areas Google usually excels in: you can access it from any mobile device or computer, the online software is slick and straightforward, the search tools are comprehensive and intuitive, and you even get some editing options thrown in as well. It's a very good package overall and difficult to beat - as long as you trust Google with all of your digital photos and albums. Over to Apple's offering, which likewise excels in all the areas Apple usually excels in: the mobile apps are polished and comprehensive, and everything works seamlessly... provided you're only using Apple hardware and apps, of course. Everything is kept in sync across iOS and Mac OS X, and there's limited support on Windows and the web, but if you have an Android smartphone or tablet then it misses out on the fun. As for pricing, as with the Google service it's tied into iCloud storage as a whole. Apple gives everyone 5GB of room free of charge, after which you can choose to pay £0.79 a month for 50GB, £2.49 a month for 200GB or £6.99 a month for 1TB. Another option is to stick with Apple's older Photo Stream app, which syncs recent pictures across your devices for free (though you'll need to sort something else out for your larger archive). Like Google and Apple, Microsoft has an all-encompassing cloud storage service, which includes photo managing capabilities - although the picture storage features are not yet as comprehensive as the offerings from its major rivals. On the plus side, OneDrive apps are available for Windows, Mac OS X, Android and iOS, so getting your pictures into one place from any device or computer is simple enough. It's just the photo editing and management tools that could use some improvement. Microsoft recently changed the pricing and storage levels available with OneDrive: everyone gets 5GB of space for free starting next year, then you can upgrade that by paying £1.99 a month for 100GB, £3.99 a month for 200GB or £5.99 a month for 1TB of room (that actually includes a subscription to Office 365 as well). Of course it's neatly integrated into Windows 10, but unless that's a key selling point for you, you're probably better off looking at one of the other options here. Of the independent options out there, Dropbox is perhaps the best - it works as well as any native feature on Windows, Mac OS X, Android and iOS, syncing your photos and other files to the cloud and keeping copies on your local devices too. One of the only major downsides is the fact that you get just 2GB of online storage space for free: that can be upped by referring friends to the service, and there's also the option of paying £9.99 a month for 1TB of room. Then there's Carousel, an app developed by Dropbox specifically for storing and sharing photos. It makes it easier to sort your pictures into albums and it can even free up space on your phone by clearing out older images once they've been safely uploaded to the cloud. Whether you use Dropbox or Carousel or both, it's an excellent option for storing your photos, and the sharing features are great too. Let's not forget the Yahoo-owned Flickr, which has been helping users upload and organize photos for more than a decade. Other services have since caught up and in some ways surpassed Flickr, but it still has a lot going for it - many professional photographers rely on the site and its accompanying apps, and it's particularly good if you're serious about your pictures (you can manage image rights, add tags, create albums, control access and more). The generous storage plan is another plus point, giving anyone 1TB of room for free (you can opt to pay a subscription fee to remove ads and get access to some advanced analytics). With polished apps for smartphones and tablets and a powerful online interface you can get at from any web browser, Flickr remains a solid choice (particularly if you don't want to spend any money), and because it's been around for so long it integrates neatly with plenty of other apps and services too.